The maxim “the customer is king” is no longer just a saying. In order to succeed in today’s dynamic business environment, organizations must embrace their customers’ requirements, and constantly realign their strategy to ensure that they are delivering the value that their customers are looking for. This requires a deep cultural shift in the way that businesses operate. Instead of pushing out strategies based on internal operational concerns, organizations must be able to identify their customers’ key demands at any given moment, and deliver high quality solutions as quickly as possible. Technology leaders and business leaders are aligning by adopting enterprise-wide Agile and DevOps software delivery methodologies, in order to continuously capture their customers’ pulse, and adapt to ever-changing requirements and demands in the market. 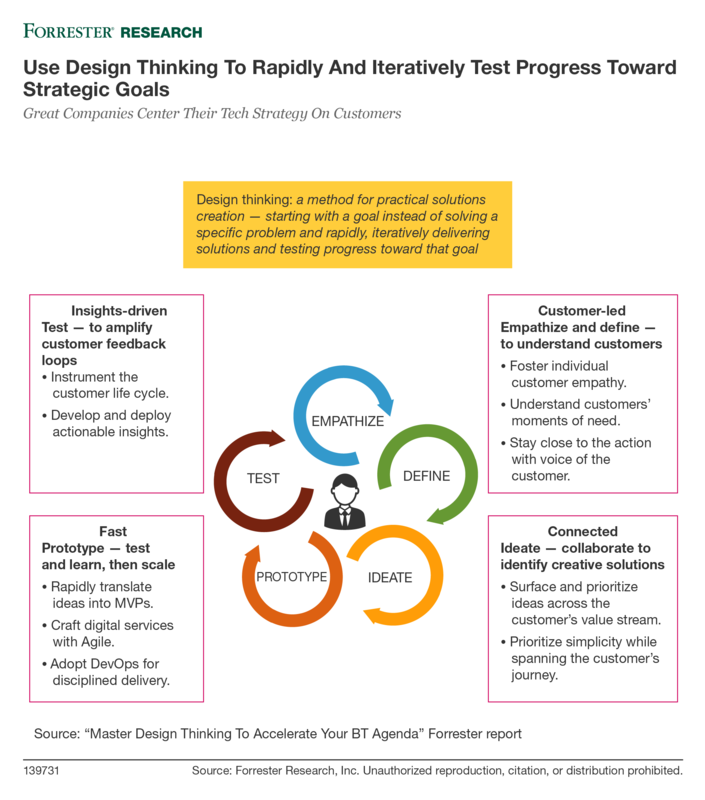 Download this report from Forrester to understand how technology leaders can create a strategic tech plan that is customer-led, insights-driven, fast, and connected.